Are you looking for a versatile knife, able to do everything on its own? 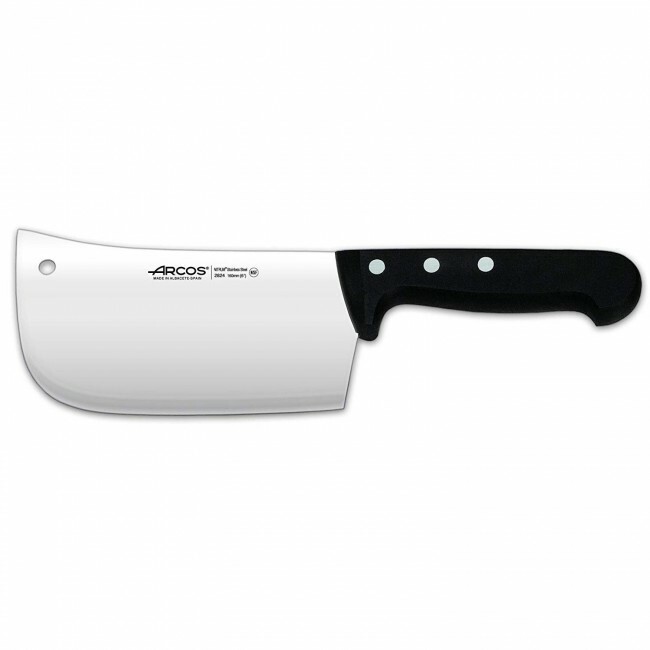 Discover the Arcos Universal's knife featuring a smooth sharp 6.3" blade and a black synthetic handle. This knife not only allows you to cut, slice and chop your food but can also be used to crush, scrape and hollow out. This little jewel will prove itself in your kitchen.